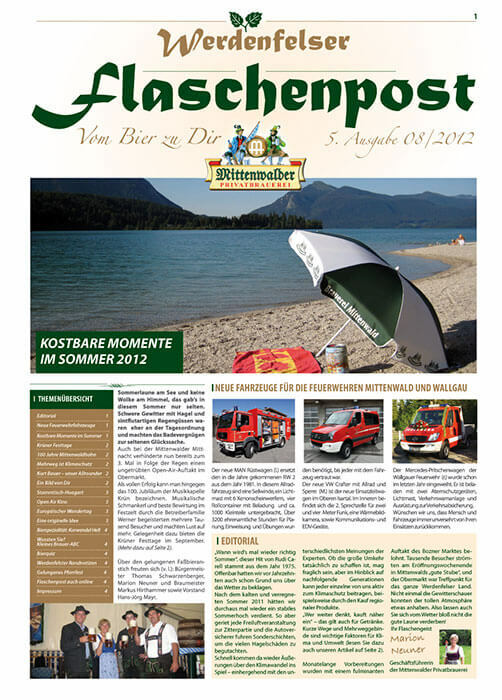 Since August 2010, our company magazine “Werdenfelser Flaschenpost” is published twice a year. 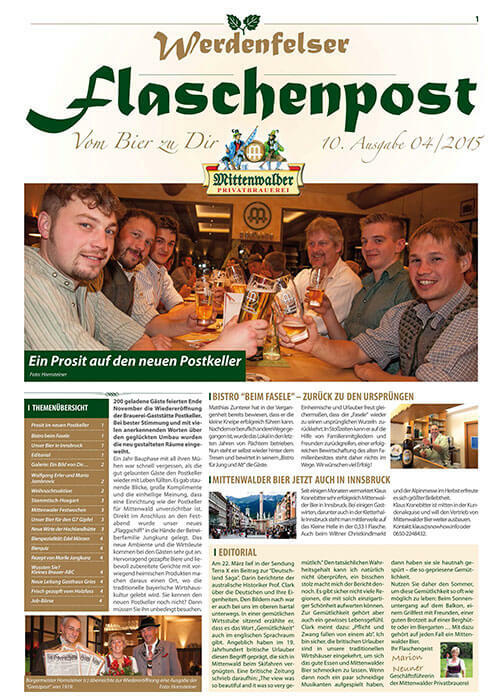 Here we inform you about our brewery, our beer specialties and events in the local area. 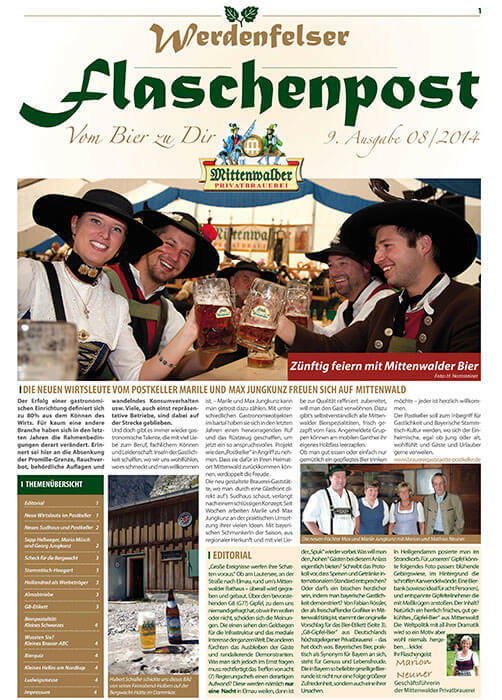 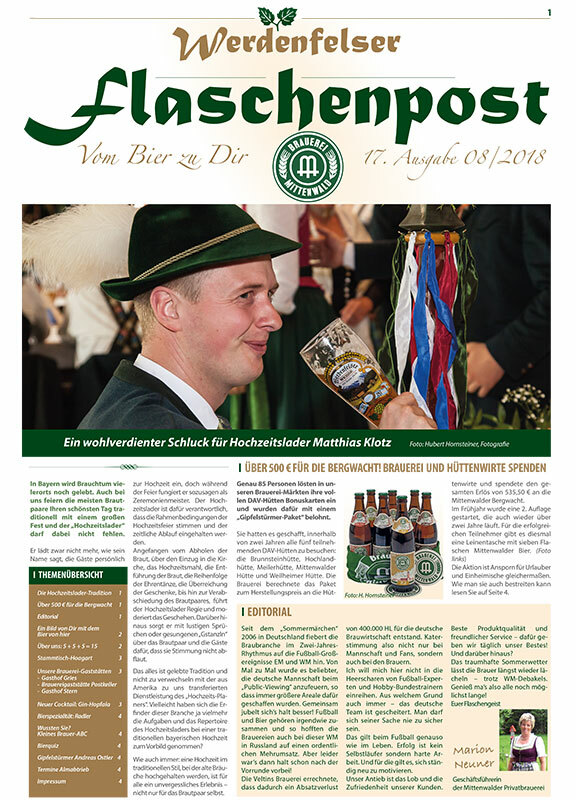 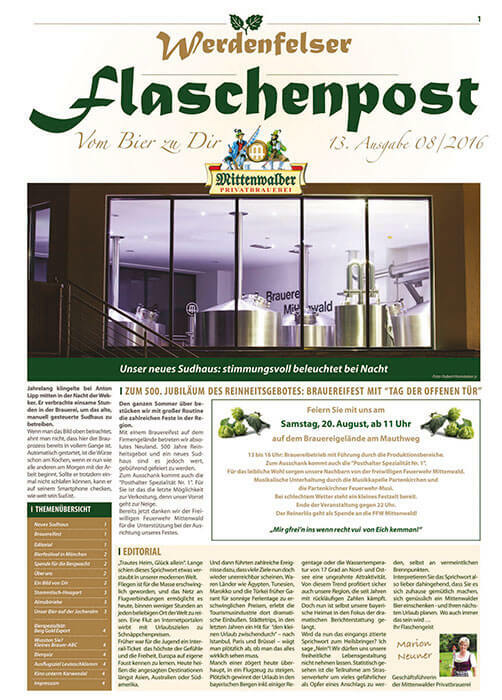 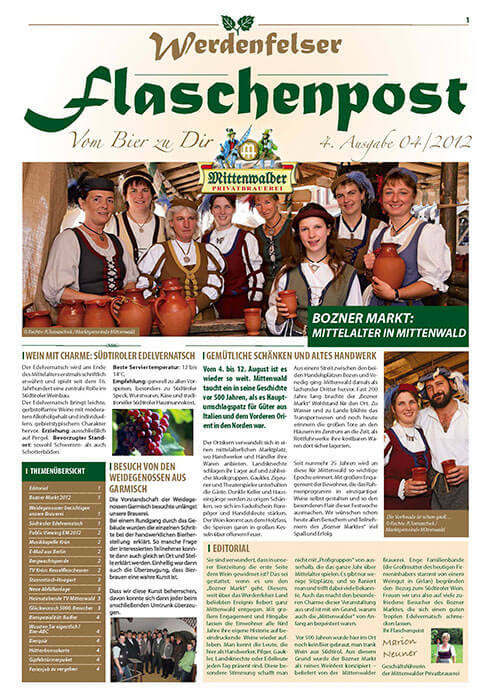 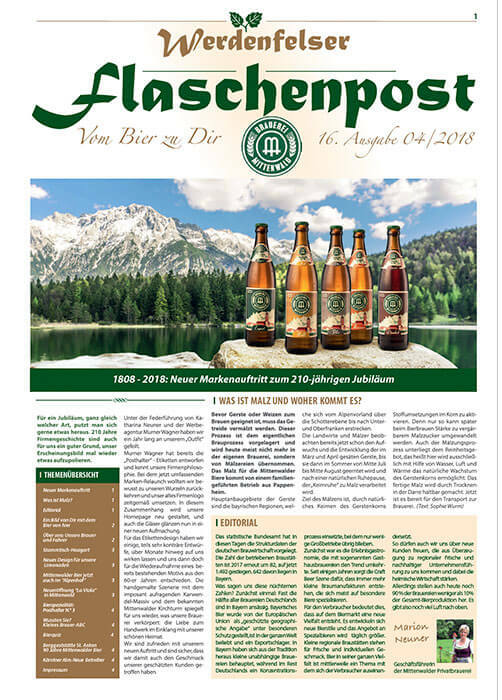 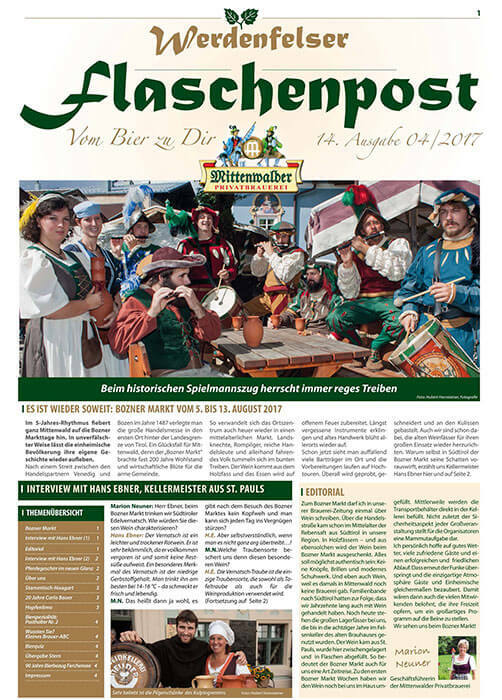 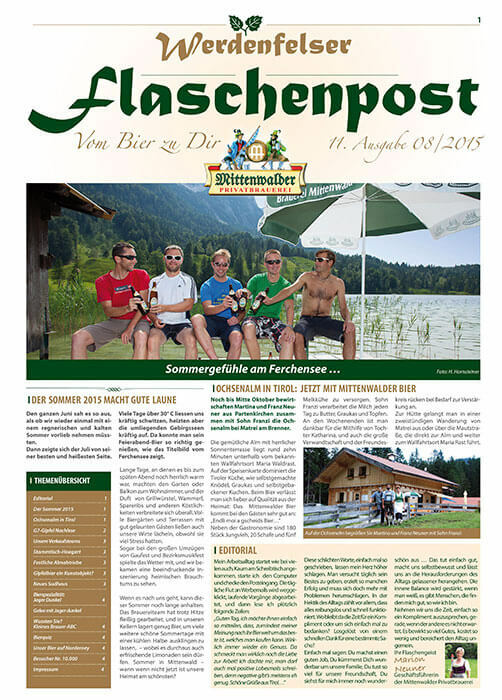 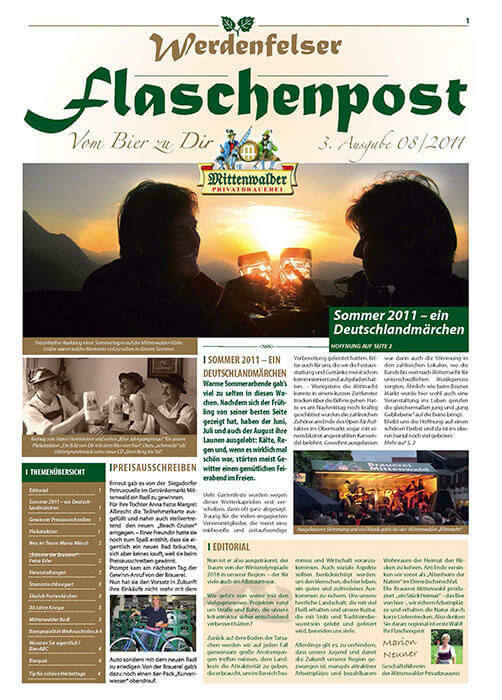 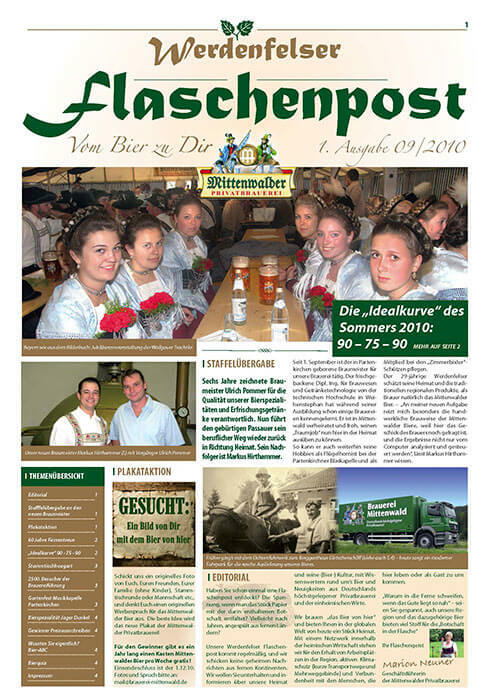 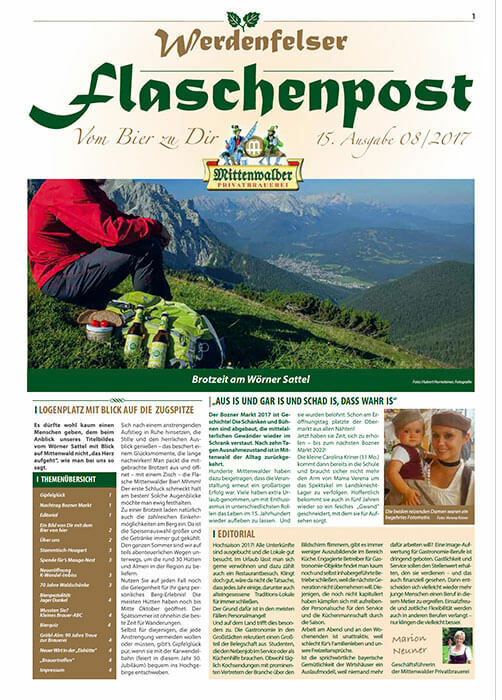 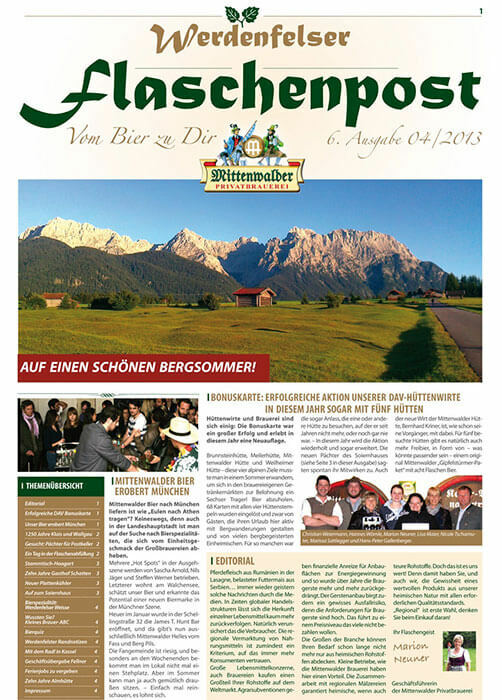 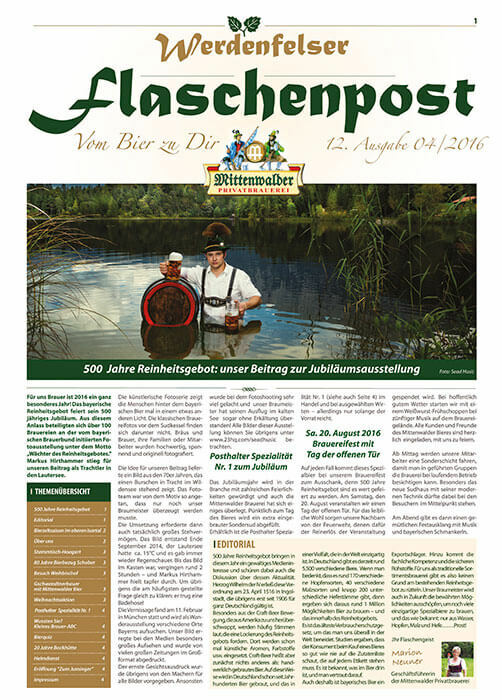 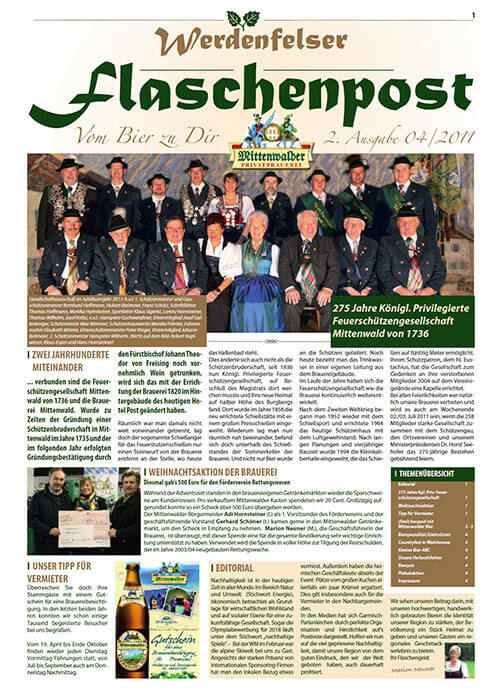 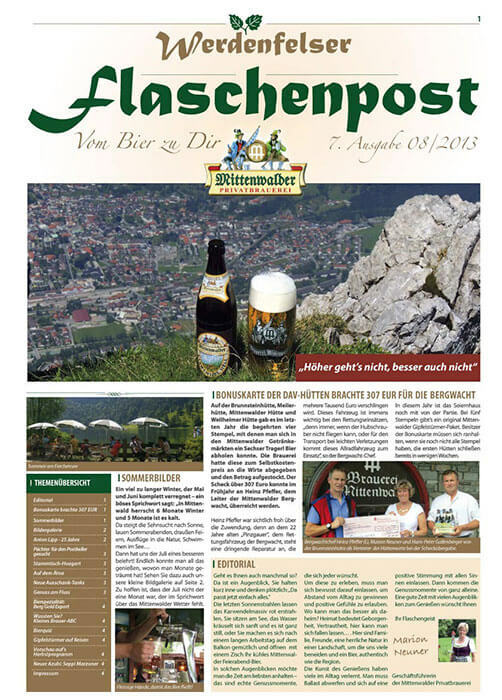 The “Flaschenpost” is distributed in an edition of 30.000 copies with the “Garmisch-Partenkirchner Tagblatt” in the district and with the “Plateau Zeitung” also in the Austrian neighboring communities. 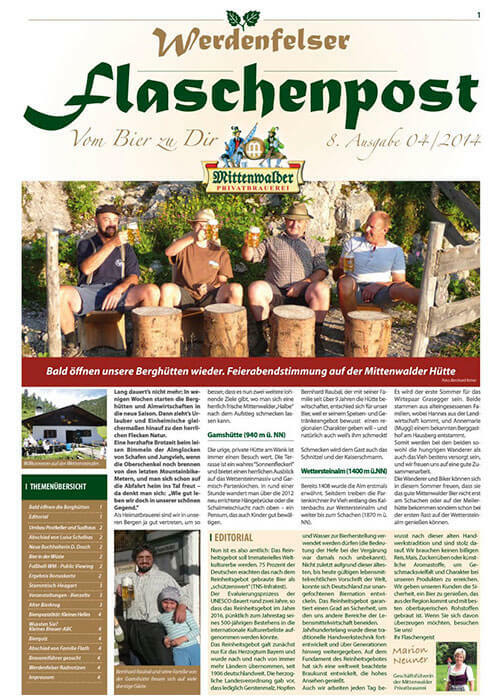 Here you can download the previously published issues as .pdf for review.